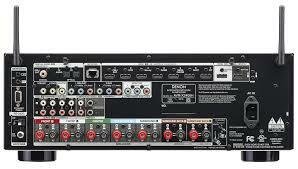 “It is immediately clear Denon has taken a step forward over the past year. Most notably is the AVR-X2500H’s increased power over its predecessor, bringing it closer to the more muscular character of Denons past. Using the 4K disc of David Ayer’s WWII film Fury as an example, the weight of artillery fire and tank tread through heavy terrain now rumbles around our test room with increased authority. Our bones rattle as bombs are dropped and there is thunder as the destruction continues in the distance. This entry was posted on August 18, 2018, 6:07 pm and is filed under AV Receivers, Review. You can follow any responses to this entry through RSS 2.0. You can leave a response, or trackback from your own site.